Congratulations! You’ve made it through the grueling interview process, the stars aligned perfectly for your model lesson, and you survived the administration’s acronym hot seat, from UBD to RTI. You've landed your first teaching job and the future looks great. All of your classwork and internships have led up to this very moment. The only thing left to do before you hit the whiteboard in September is to spend the rest of the summer stressing about lesson plans and anxiously mumbling, “what did I get myself into” as you pace across your apartment, ruminating over the “what ifs”. Breathe. You are likely both excited and terrified. But you are by no means alone. Each new school year presents a new set of challenges and opportunities for even the seasoned teaching veteran, and if you’re being completely honest with yourself, that variety is a part of why you got into teaching in the first place. You’ll likely get a lot of advice from colleagues and old pros over the course of your career, but we at Education World wanted to set you off right with some tips and tricks to get you through your first years as a teacher. 1. Get to know and appreciate your support staff. Librarians, custodians, cafeteria workers, technology support, bus drivers, secretaries. You’ve probably already heard this one. And it might seem pretty easy to manage. However, there’s a trick to it: See, when things get heated up in the building and the school year really gets into its flow, it is all too easy for the overwhelmed and overstressed educator to forget to appreciate all of the whole-hearted efforts that make a school run. Every person in the building adds directly to the success your students will have in the classroom. The bus driver might set the tone for a student’s mood in the morning – their first point of contact. The kitchen carefully monitors and supplies the energy kids need to stay focused on the task at hand. Without your school’s tech support, you’d better know how to solve the eight distinctly different network issues going on in your class while you’re trying to perfectly execute that “interactive” opener that was only supposed to take five minutes. These people are your lifeline. And, like guardians of the academic galaxy, they will swoop down time and time again to save the day. 2. Find your kindred spirit. As an initial educator, you will certainly be provided with a mentor. This mentor will review your lesson plans, help you with classroom management, and push you to your full potential. A good mentor is an invaluable resource for the first-year teacher. However, be sure to also find your “kindred spirit” within the building. This might end up being your school-provided mentor as well, but if not, it is equally important to have someone in the building you feel like you can be a little bit more “yourself” around. Yes, you are in a professional environment that should always be respected and embraced as such, but education can also feel quite (unnecessarily) competitive. Find someone to whom you feel comfortable sharing the gritty details of a lesson that completely bombed. Someone who will let you lean on their shoulder for a little while. Someone who gets your sense of humor and can be a resource for breaking up an intense or particularly frustrating day. Someone who shares your love and concern for the students, but also shares your need for human moments in a sometimes chaotic world. Not only will this kindred spirit be a welcome relief in times of great need, but will likely be a constant reminder that we’re all here just trying to do our best. 3. Talk to your Special Education Department. Your Special Education department is likely an endless bounty of incredible differentiation strategies and support ideas. However, with increasing demand, you might not always be on their radar. Don’t be afraid to schedule multiple meetings with your department, as this classroom need can often feel exceedingly daunting to the naturally empathetic educator. Taking the step and filtering through the many pages of student IEPs and 504 plans can panic even the most capable classroom teacher. Your Special Education department has the ability to water down those complicated documents, fill your inbox with straightforward strategies you can put to practice immediately, and possibly even observe your classroom to see first-hand where the struggle might be and how to best address it. Keep this conversation going throughout the year, and don’t be afraid to admit you “don’t know”. That’s what they’re there for. 4. Schedule “you” time weekly. We know. Easier said than done. And especially in your first few years. But teacher burnout is a real thing. For an educator to sustain their practice through a career, they must take care of themselves, as well as they would take care of their students. For some, this might mean that a 30-minute run at the gym directly after work. For others, it might be a dance class you’re able to fit in every Thursday night. A popular routine for teachers with families is to stay at the school until all of your work for the night is done (it might feel like a longer work day, but at the end of it, you should have some uninterrupted time for friends and family). It doesn’t matter what this looks like or what form it takes, but if you’re planning on being in education for the long haul, it will be more than necessary. A good way to guarantee this time is to schedule it into your planner. The benefit of a gym membership or other type of paid program is that you are held financially responsible to attend. It’s easy to let teaching consume your entire being. Don’t forget that you are a well-rounded person who also happens to have a passion for his/her work. Those little breaks will allow you to enter back into the classroom refreshed each week. 5. It won’t be perfect. Just do a little better each time. If you are looking to be the “perfect teacher”, you might be in the wrong profession. The game changes constantly. And society expects the best of the best. Although many of us love the challenge, we’re all vulnerable to that “never good enough” feeling. Some of us like to use that feeling as motivation to do better. However, this is a difficult balance to strike. The truth is, yes: you can always spend more time working on perfecting lessons, strategies, and organizing your time. No one will tell you to clock out, so you have to do it yourself. And if you don’t, you’ll simply exhaust yourself – it’s unsustainable. Instead, keep reminding yourself that you are doing your very best, holistically. You can’t spend your career second-guessing each and every decision, minilesson, and interaction. Reflection is certainly one of a teacher’s greatest tools, but there’s a line between that and obsessive self-flagellation. Learn your lessons, and do it even better next time. Remember the cartoon character Wile E. Coyote? 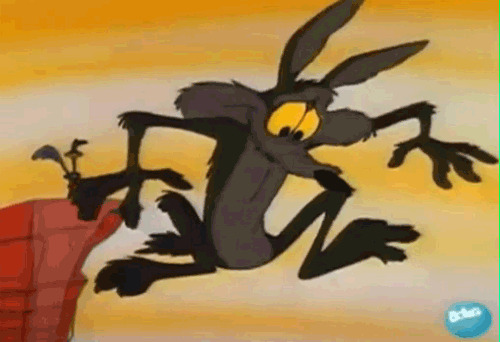 Wile E. Coyote would always chase the Roadrunner until he ended up running himself right off a cliff. The thing is, you’ll notice that Wile E. didn’t actually fall into the canyon until he looked down and started over-evaluating the situation. Keeping cartoon physics in mind, had he continued moving forward, he would have safely reached the other side of the canyon. But his over-evaluation stopped him from progressing. If you keep your head up and keep moving – making small improvements along the way, always looking for things that make you better (not tear you down) – you’ll be a healthily self-reflective and progressive educator in no time. 6. You won’t be happy teaching to the test. In the world of education, we have a complicated issue around accountability. Parents, districts, and educators themselves want to know that the strategies being put in place are actually helping students to learn and keep up with the global market. However, the only viable way we’ve found to really gather this sort of information is through the dreaded standardized test. Now, wherever you stand on the state of testing in education, the reality of your classroom at present is that this data is being collected and it is being used to hold the schools accountable for their work. As government funding begins to follow these results, schools have found themselves periodically feeling like they have to “teach to the test” or at least “teach toward the test”. This might be the reality, but the truth is, you will never be happy teaching to a test – nor will you find much success. The test will change, so will the strategies, theories, funding, and demands – so where will that leave you? Look at your content. Look at your standards. Look at your students – the actual ones in your classroom. And make the best decisions you can to help them to live happier, more fulfilling lives. Often, this route leads to teaching “past the test”, as you are actively thinking about what each individual needs, as opposed to the national average (because the “average” doesn’t really exist anyway). If you’re doing something wrong, someone will let you know. In the meantime, always believe they can. They’ll hardly ever let you down. 7. Watch out for the teacher’s lounge. This one might sound a bit cliché, and certainly this differs from school to school. There are absolutely schools where the staff spend much of their energy supporting and helping each other survive and grow—and hopefully you've found one. When we say this, we’re trying to draw attention to how easy it can be to marinate in a culture of negativity. Your job will be difficult at times. Venting can be an important tool when used wisely and with the right audience. But it can also lead to a poor work environment. Ruminating on everything that is going wrong is not the same as a community of educators helping each other explore solutions. When negativity spreads throughout a high-stress community, it can feel comforting to know that others are going through it challenges too. At some point, though, you’ll need to ask yourself, “how is this helping me?” If it gives you the feeling of community and gets you back on your feet and working toward a solution, then great! If it does nothing more than make you feel underappreciated, underpaid, and overworked, it might be best to politely remove yourself from such conversations altogether. No, really. Okay, so it might not be a happy hour. It might be the Christmas party, barbecue, or a summer gathering – but go. It’s important to see your colleagues as human beings from time to time. It’ll help you navigate through that inevitable morning when Bob jams the copier moments before your class starts. Or when Charlene reserves the last set of laptops. Or when Ray comes in with a chip on his shoulder and you’d usually think it was something you said or did. You don’t have to be best friends, but just a little bit of humanity goes a long way in establishing trust between co-workers. 9. Everyone struggles with classroom management. It’s different every year. Student behavior is generational, environmental, and at times chaotic. And there’s no “quick fix” answer to it (despite what any educational theory book might claim). 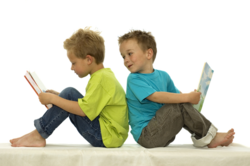 The unpredictable and sometimes seemingly irrational behavior exhibited by young students is simply a product of their biology – the frontal cortex, the area of the brain that controls reasoning and helps us think before we act, develops much later in our development. What does this mean for educators? Well, it means that it is always going to be complicated. Some days, you just won’t be able to predict what you’re going to walk into, stepping into the classroom – and that’s okay. The good news is: you will get better. As you develop your “classroom personality” and feel out the temperature of each class, you’ll figure out what works for you and what does not. Observe your peers, notice what works, be reflective, try new things, be sympathetic to your students’ needs, and do your very best. That’s all any student, administrator, or parent could ask for. If you’re going to be realistic about sustainable growth in your students, you need to celebrate the small successes along with the bigger ones. Data team scores are up? Phenomenal! Go team! Billy kept his head up? Well, it’s the first time all year, and he’s been going through a lot this semester! Sandra handed in her first homework assignment? That’s great! Dave showed up for after school office hours? What a huge leap in self-advocacy! A single look of recognition or the tiniest “aha” moment means that you’ve made a difference. Do not underestimate the power of a moment. Celebrate them. Celebrate for yourself. Celebrate with the kids. Celebrate with the parents. Recording the tiny slivers of success in your mind will remind you why you’re in the field during the tougher times, and will remind you that Rome was not built in a day. Similarly, you will never truly know the impact those little moments will have on the life of another person. Celebrate what we do, because although the world can feel like a tough place … you’re helping. Good luck this year. It's going to be phenomenal. And thank you for all you do. Lambert is a certified English Language Arts teacher and teacher trainer in Connecticut.